A cap-sleeved, form-fitting silhouette in stretch fabric blended with cotton by BOSS Womenswear. 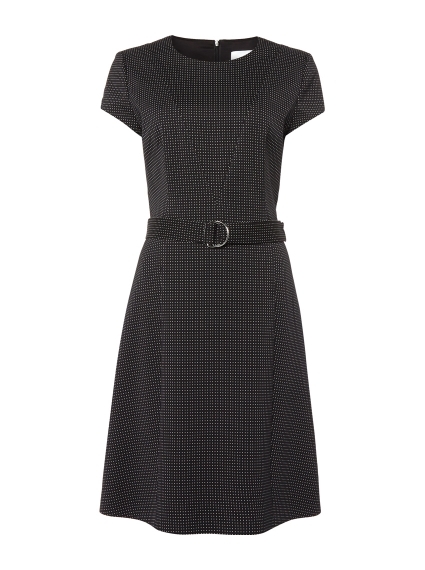 This modern shift dress features a subtle pindot pattern enhanced by an innovative structure, a neat zip and a detachable belt with a twin D-ring hardware closure. Wear alone during the warmer months and then team with the coordinating Jumano jacket come Autumn.